Whether you want to join KCRW or just want to learn derby, Warriors in Training is the place to start. We’d be lying if we told you it’s going to happen over night. Over the years, our league’s average skill level and competitiveness has definitely picked up. 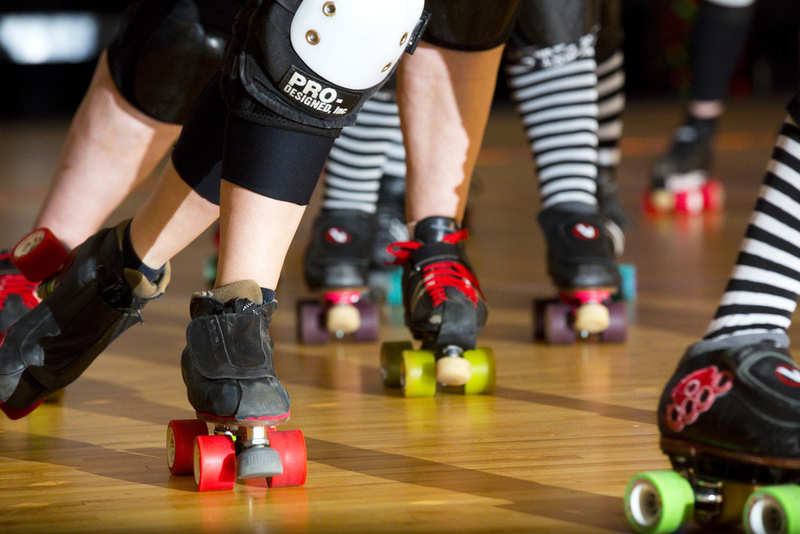 What it took to be a Roller Warrior in 2004 is not what it takes today. KCRW ladies skate 3-5 times a week and on top of that help run the business and promote the sport. The best things in life aren’t just handed to you; they take hard work and perseverance. Derby is no different, you’ve got to want it bad and be willing to work for it. Warriors in Training is a 12 week program that will teach you all the skating skills and rules you need to play roller derby. Warriors in Training has two levels: 101 and 201. 101 teaches from the ground up so even if you have never skated we can teach you all the skills you need. 201 is for skaters who have participated in a Warriors in Training session before and are contact ready. For more information about the next Warriors in Training session check out the Warriors in Training page. If you have specific question feel free to email WIT@kcrollerwarriors.com. If you happen to be under 18 and would like to join the Junior Warriors, check out the Junior Warriors page.